"We want to keep athletes safe and at the top of their game," said Matt Campagna, co-founder and CEO of Reflexion Interactive Technologies. The eager entrepreneurs rolled out a swath of artificial turf, topping it with a soccer bench and their customized 6-foot LED touch screen—sleek, black and beckoning to be pressed. And the crowds came. More than 300 people stepped up over four days to experience the Reflexion Edge, quickly tapping a series of small lights that briefly flashed in seemingly random patterns across the screen as the device—created to help athletes— measured reaction times, hand-eye coordination, peripheral vision and more. The scene was chaotic and energizing last January at CES Las Vegas, where more than 180,000 innovators, investors and visitors from around the globe descended to showcase or marvel over the newest in consumer technologies. And in the midst of it all was Matt Campagna—then a Case Western Reserve junior and co-founder and CEO of Reflexion Interactive Technologies—who, with his co-founders, was pitching the Edge, a product they began developing as high school classmates. "It's humbling," said Campagna of the opportunity to exhibit at the same event as Google and Microsoft. "You walk away really inspired to do something more." No one would argue the success of his company, which has raised more than a half-million dollars since its launch in 2015. But Campagna is the first to say he and his co-founders couldn't have done it without the university's entrepreneurial and innovation ecosystem, where good ideas are germinated, pruned and fertilized in an close-knit environment designed to educate, mentor, advise and elevate creators. It was the ecosystem that provided Campagna coveted exhibit space for the last two years at CES Las Vegas, where CWRU's 10-booth footprint was the largest among universities. It's partly why he was invited to display his technology to lawmakers at CES on the Hill at the U.S. Capitol in April. And it was a factor in a series of successes Reflexion has notched at both local and national competitions. The ecosystem includes not only academic programs, but also advisory, financial and support resources, such as a technology-transfer team as well as students and faculty from the schools of law and management. They help innovators protect their ideas, commercialize technologies and learn to operate a business. And, perhaps most visibly, it includes the Larry Sears and Sally Zlotnick Sears think[box] in the Richey Mixon Building, a seven-story, 50,000-square-foot innovation and entrepreneurship center where people with diverse interests can use state-of-the-art equipment in its makerspace, seek advice from mentors and fellow creators, and hone business pitches for competitions both on campus and off. "We think the resources we're putting into curricular and co-curricular entrepreneurship and innovation programs for students will change the way we view workforce and economic development," said Lisa Camp (MGT '12), associate dean for strategic initiatives at the Case School of Engineering. Every ecosystem needs an environment to call home. Among the homes supporting Reflexion is Sears think[box]. It's the largest open-access university innovation center in the world. It is free for anyone associated with campus or not, including local businesses seeking to nurture their creative fire. While Sears think[box] has become a national model for multidisciplinary innovation spaces, it also has provided a focal point for various university initiatives at a time when peer institutions were well along their own entrepreneurial path, said Malcolm Cooke, PhD (GRS '04, mechanical engineering), an associate professor in the Department of Mechanical and Aerospace Engineering and executive director of Sears think[box]. "We saw the opportunity to be a home to some fragmented elements and bring them together so that they were a lot more powerful and made a big difference to our students, faculty and staff," he said. Campagna, a computer engineering major, entered Sears think[box] his first year on campus. There, he and his Reflexion co-founders (who attended other universities) used soldering equipment, for example, in building early models. But it's also where he can run into other people developing their own ventures. "If I need to go next door to bounce something off of somebody, I can do that so easily," he said. "You don't feel so lost or alone." To attract students from many majors—a necessity to gather diverse problem-solvers best served by this environment, the innovation hub lowered the psychological barriers and made students feel comfortable and welcomed. Once a month, a handful of mentors sit in the periwinkle- or lime-colored chairs on the building's second floor and share a meal with student entrepreneurs and innovators. Co-hosted by Joe Jankowski, PhD (MGT '01), the university's chief innovation officer, the dinners offer a way to share emerging opportunities, discuss needs common among entrepreneurs and build a sense of community across disciplines. Established entrepreneurs invite friends interested in learning more. Prince Ghosh, a senior majoring in mechanical and aerospace engineering, is a regular. 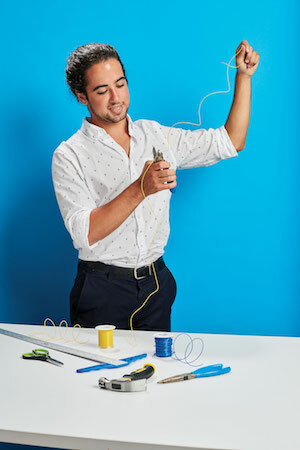 As co-founder of Boundary Labs—which aims to improve the performance of wind turbines—Ghosh has found the dinners are another way for entrepreneurs to connect, particularly first- or second-year students or others "just getting started with their entrepreneurial journeys, to meet the rest of us and get the advice or whatever connections they need." And now he's one of the veterans with an impressive story. This year alone, Boundary Labs was a finalist for a $50,000 federal energy grant and also took second place at Cleveland's LaunchTown Entrepreneurship Awards. Ghosh uses Sears think[box] and all of its connections, chief among them Bob Sopko, director of the CWRU LaunchNET entrepreneurship program. Michael Tam, a student in the physician assistant program at the School of Medicine, tests his reaction time on the Reflexion Edge as Matt Campagna, a university student who co-developed the device, watches the results. Campagna jokes that if you walk into Sopko's office at Sears think[box] to ask a question, you'll leave with a full calendar of appointments—except that it's no joke. In an hour conversation, he'll drop names like he's shelling peanuts. All Campagna has to do is catch the invitations and make the connections—both on and off campus—to the mentors Sopko is offering. Students say the connections they make with the help of Sopko and others are pivotal in their journey to learn and succeed. Sopko can form a business team as if completing a puzzle, which he demonstrated during Entrepreneurship Immersion Week 2017. At the intensive, one-week residential camp before classes started, students from 11 Northeast Ohio colleges and universities were divided into brainstorming teams. Sopko brought together five students who now are developing CrasBand, a wearable medical device to monitor heart health. The students were a diverse group with academic interests in biomedical engineering, electrical engineering, computer science, business management and economics. Last fall, their product concept won the Cleveland Medical Hackathon. "The idea was great," said team member Nsisong Udosen, now a junior. "But the reason we have gotten this far is because we have a solid team. Everyone has great skills they bring to the table." And in a spirit of paying it forward, team members helped mentor this past summer's Immersion Week participants. For Sopko, the important part is not the product. "It's about the person, it's about their journey; it's not necessarily about the company," he said. That's one reason he gave first-year mechanical engineering major Robert Steward a coveted invitation to CES Las Vegas last winter. Steward had passion and promise, and brought an early prototype built with PVC pipes to the event. There, Steward shared his story of working on an exoskeleton to aid individuals with limitations caused by paralysis and muscular dystrophy— catching the ear of folks from the U.S. Food and Drug Administration, who offered insight into navigating medical device approvals. Going to CES "was a big stepping stone in what it would take to be an entrepreneur," said Steward. He came in third in the recent IdeaLabs business concept competition, sponsored by a consortium of local universities including CWRU and funded by the Burton D. Morgan Foundation, also a sponsor of Entrepreneurship Immersion Week, LaunchNET and Sears think[box]. Throughout the ecosystem are faculty members who energize and educate. Among them: Scott Shane, PhD, the A. Malachi Mixon III Professor of Entrepreneurial Studies and professor of economics at Weatherhead School of Management. He teaches an entrepreneurial finance course, where students including Campagna learn from venture capitalists and other business funders, as well as a course on new-venture creation where teams of students develop a new business and then devise a pitch proposal for investors. Faculty in the ecosystem also include Mario GarcÃ­a-Sanz, PhD, a professor of electrical engineering and computer science, who developed technologies Ghosh is helping bring to market. "He is a brilliant guy but also a phenomenal person and mentor," Ghosh said. "He's guided me in the way I think about really critical problems." The sixth and seventh floors of Sears think[box] are opening this fall as entrepreneurial consulting and incubator spaces—signaling an expansion of the ecosystem, its programs, initiatives and network. Other parts of the ecosystem are growing as well. One of the newest components is the Case Angel Network. It's an initiative by alumni and faculty— including Shane—to share business acumen and invest in promising startups involving individuals connected to the university. Meanwhile, Campagna is focused on making Reflexion a success story. Its path has been winding. In high school, a friend went crashing into the boards during a hockey game and suffered a major concussion. With a third friend, they set out to develop a better way to assess concussions. 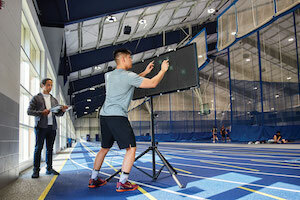 But then they discovered their audience—trainers and athletes across many sports—really wanted data to evaluate agility, reaction times and more with an ultimate goal of improving the assessment, training and development of athletes. And so they re-evaluated with the help of mentors and shifted gears to serve the needs of an even wider market. Campagna is taking his second semester-long coop to work at his own company. He plans to return to campus in the spring, complete his studies and graduate next winter. And his business is growing. The company hired two CWRU alumni and, in July, sold the Edge to its first paying customer—a university in Pennsylvania. "That was a red-letter day," Campagna said, "but there's not too much time to pause. There's so much more work to do." 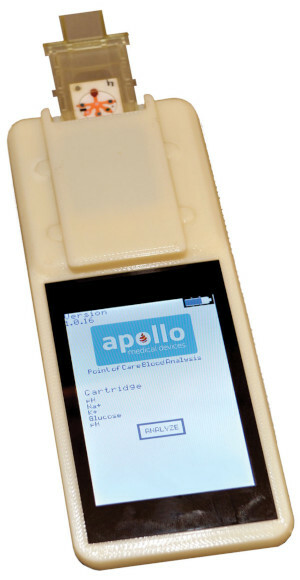 Apollo Medical Devices requires only a single drop of blood to provide test results that could help drive better medical care for people on dialysis. But to bring such an idea to commercialization requires a lot of help. Punkaj Ahuja (CWR '09; GRS '11, biomedical engineering) found that no matter his status—as a graduate student, then an alumnus and Apollo's CEO—Case Western Reserve and its partners were there to provide mentoring, advice and funding for his budding venture. The company won first place and $25,000 at the inaugural 2018 Morgenthaler-Pavey Startup Competition for ventures with at least one CWRU student or recent alum. The Apollo team had honed the science and Ahuja sharpened his pitch with help from JumpStart Inc., a venture-development organization. "We worked ... to make sure that [the pitch is] really succinct and to the point, to get investors interested but also get our point across to a wide spectrum audience," he said. Since he founded the company in 2014, Ahuja has received assistance from university programs and offices supporting venture creation, including the Case-Coulter Translational Research Partnership, which provides funding to develop technology to address an unmet need. Apollo has raised $1.3 million and made connections it needs to be on track for possible commercialization by 2019. A fashion-designing student at Case Western Reserve walked into the Larry Sears and Sally Zlotnick Sears think[box]—a campus innovation center well known for 3D printers and fabricating equipment—in search of a sewing machine. After reaching her destination, she laid out a fabric of bright oranges and greens on an adjacent table as students nearby gathered. "I felt welcomed," said Chioma Onukwuire (CWR '17, GRS '18, engineering and management), who, as a junior majoring in polymer science and engineering, started CHIMU, an African clothing business. 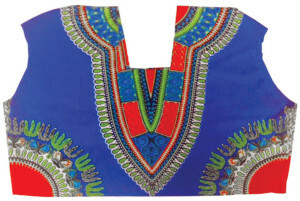 The daughter of Nigerian parents, Onukwuire was eager to make African clothing for men and women more affordable and accessible in the United States. She found an early home at Sears think[box], which encourages innovators with wide and varying interests to create. As her business blossomed, she won $500 in an alumni-sponsored pitch competition and $2,500 from a startup fund that Sears think[box] managed. While Onukwuire started in Sears think[box] sewing her original patterns, today she imports clothes from six artisans in Nigeria, Senegal and Zambia, based on patterns that she and they design. "If anyone reading this is struggling, they should know not to give up," she said. Starting Greenlite Technologies was somewhat accidental, but closing the business was a deliberate choice. "I learned a lot more from the failure of the company than I did from starting it," said Ian Ferré (CWR '17). Greenlite began as an idea in the first-year course "Engineering for the World's Poorest," taught by Daniel Lacks, PhD, the C. Benson Branch Professor of Chemical Engineering. 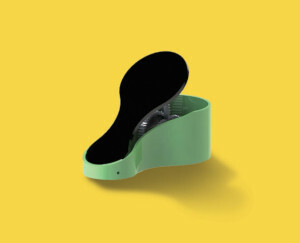 Ferré and fellow students created a foot-operated pedal to produce enough electricity to charge a cellphone. The students won $90,000 in federal funding and $16,000 from pitch competitions and tested their pedal in the rural African country of Lesotho. But when the price of solar energy dropped and the pedal was no longer cost competitive, they learned how difficult it can be to reposition a company and raise additional capital needed to pivot. They also had to figure out what they wanted—to devote their time to Greenlite, or accept attractive job offers that could send co-founders Ferré, Sam Crisanti and Evan Harris in different directions. "It was tough to [close the company], but I think we all made the right decision," said Ferré, who since has gone on to work for two more startups. Thanks to the original fundraising, the project continued, said Lacks, with new students refining the pedal generator.